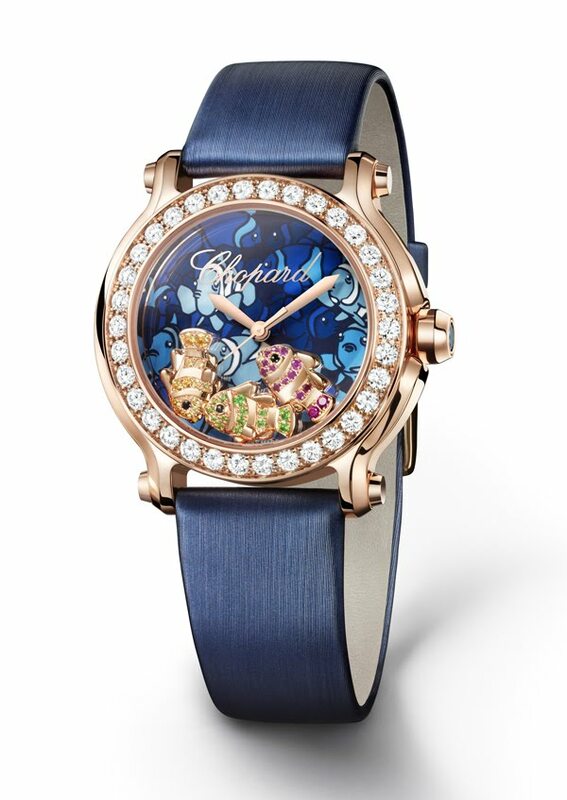 A must-have from Chopard’s famous Happy Sport collection, the Happy Fish watch is appearing this year in two new versions, which transcend the multicoloured magic of the ocean depths with its delicate little moving clown fish. Like a precious aquarium, the new Happy Fish watches are each home to three little clown fish in 18ct rose or white gold, set with yellow sapphires, tsavorites, rubies and onyxes. Swimming in a dial painted in tones of blue and depicting the bustle of a lively coral reef, the little residents of these new quirky time-keepers from Chopard invite you to explore the silent world. Available in steel or in 18ct rose gold with a bezel set with diamonds, at 36mm in diameter the Happy Fish is of a size suitable for all occasions. The crown is set with a blue sapphire in both versions. 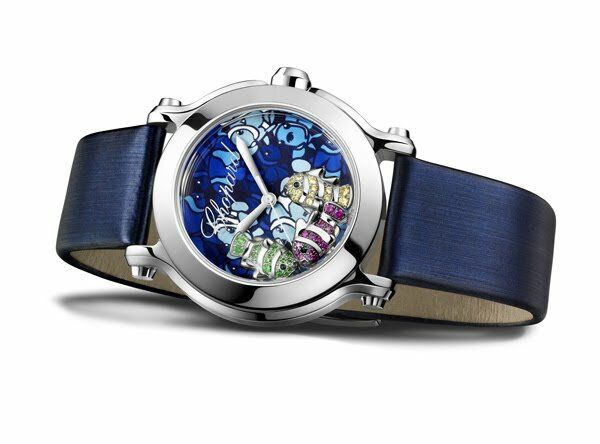 Water-resistant up to 30 metres and powered by a quartz movement, it is rounded off by a strap in blue satin.